Hi, dear readers and loyal subbies. Welcome back to Thumbelinaslifetyle.com. Today I am doing something new for Thumbs nails of the week. I am doing my first hand pack post. I never used a hand pack in my life, and I was quite curious when I found this in a discount drugstore. I thought what do I have to lose as my hands were looking quite cracked of late. So when you open this pack it comes with two jumbo sized gloves. Honestly! I have tiny hands but even for people with normal sized hands its huge! So let me show you those gloves. 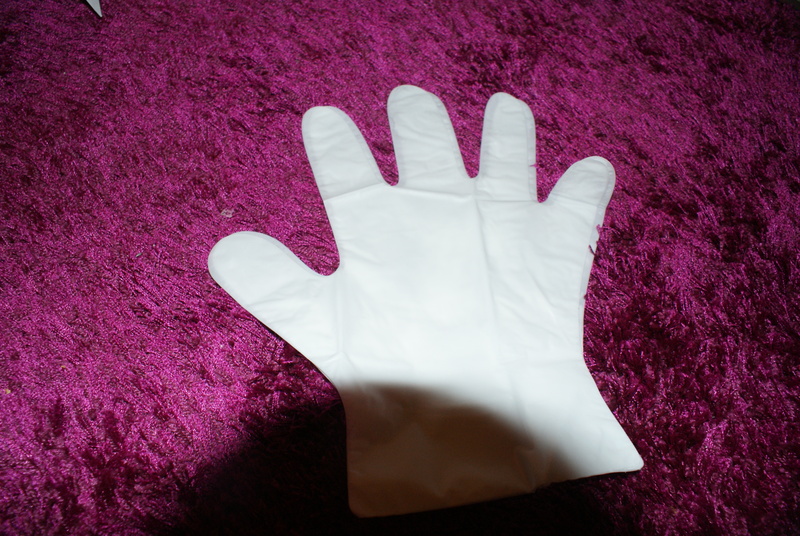 Sorry that you see my shadow cast over the glove. See I was not lying about the size of those gloves . 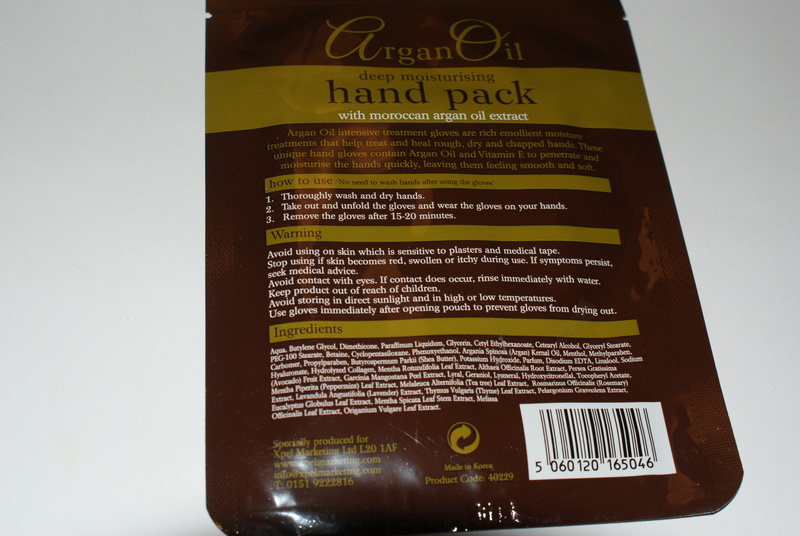 You can definitely smell the Argan oil when opening the packaging. I don’t know if I mind the smell or not, but its not horrible. When you put on the gloves you can feel they are drenched with oils and moisture. You need to keep these gloves on for 20 minutes. Whilst wearing them they sort of gave that tintling feeling. The feeling like rubbing VIX on your chest. After removing the gloves I just went like OH MY GOD. Soft like baby skin. I will definitely repurchase this product. 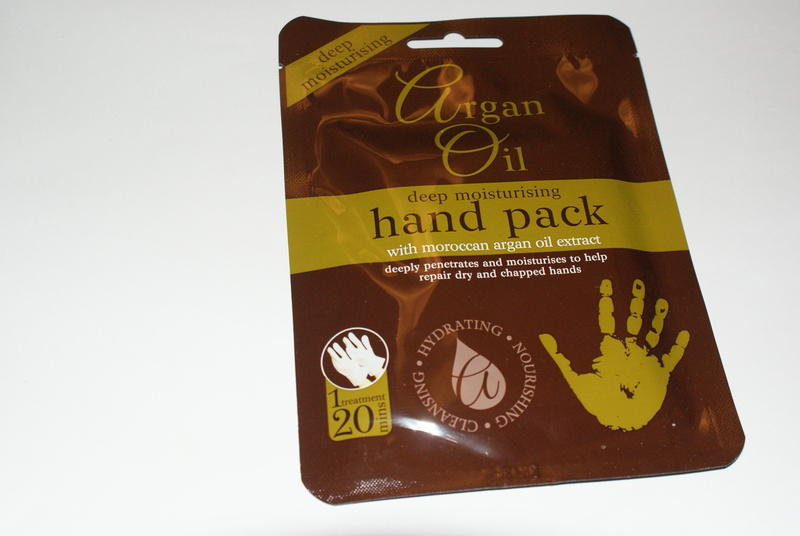 It just gives life back to cracked hands and that for just € 3,00 euro’s.. Plus this is a nice pamper item to use when you just want to relax and watch some tv. I hope you all enjoyed this post and for future updates for Thumbs nails of the weeks subscribe to Thumbelinaslifestyle.com or follow me on BlogLovin. Hope to see you all back soon! Toodles! Popping in to say hello because we’ve recently followed each other.